These blurbs originally appeared in the Mass Appeal section of RVA #33 Summer 2018. You can check out the issue here, or pick it up around Richmond now. University of Richmond isn’t exactly known for its fashion program, at least not in comparison to VCU, but Kadeem Fyffe made it work. Fyffe started as a journalism major, seeking a well-rounded liberal arts education, but soon shifted to Studio Arts to study fashion, which led to a semester abroad in Milan where he’d work on the opening of Milan Fashion Week. Fyffe’s gender-fluid label features t-shirts of different lengths, with various statements and designs. Some of them are almost politically wonkish, such as his #SAYTHE7 tee, which features a row of the seven words the Trump Administration asked the Centers for Disease Control and Prevention not to use any more. Fyffe will release an extended collection this summer featuring crop tops and tanks. By Spring 2019, Muxe will roll out a more complete collection of men’s skirts and unisex pants, along with more statement tees. See the full collection at muxenewyork.com. From the inaugural ball gown worn by First Lady of Virginia Pamela Northam in 2017 to silk gowns designed in 1875, The Valentine’s current fashion exhibit features an inclusive and thoughtful collection of clothing from female designers, tastemakers, and boutiques. Current designers and boutique owners including Rupa Singh of Love This, Bella Weinstein of Handyma’am, and Deborah Boschen of Verdalina received their own spot in the story woven by The Valentine’s curators. One display case features 10 designs from Maxwell Reid, who creates wearable art in her home in the Fan District today. “A well-crafted wardrobe acts as a highly visible performance of identity,” reads a placard in the exhibit, introducing a series of outfits and pieces worn around the region during the past century. Pieces like a 1948 gingham playsuit and 1960s Vera Maxwell ensembles created for former Thalhimers Vice President Elizabeth Bauder are displayed with detailed stories and quotes about how the garments were made, who wore them where, and how they fit into Richmond’s cultural history. Bauder’s story, for example, chronicles her rise up the Thalhimers corporate ladder from copywriter to Fashion Coordinator, to Vice President and Director of Sale Promotions. Visit the exhibit between now and January 27, 2019. Learn more at thevalentine.org. Zach Ryan has been founding fashion startups since he was 15. It all started when the Connecticut native spent a summer in Nantucket. Ryan just finished his sophomore year at the University of Richmond. 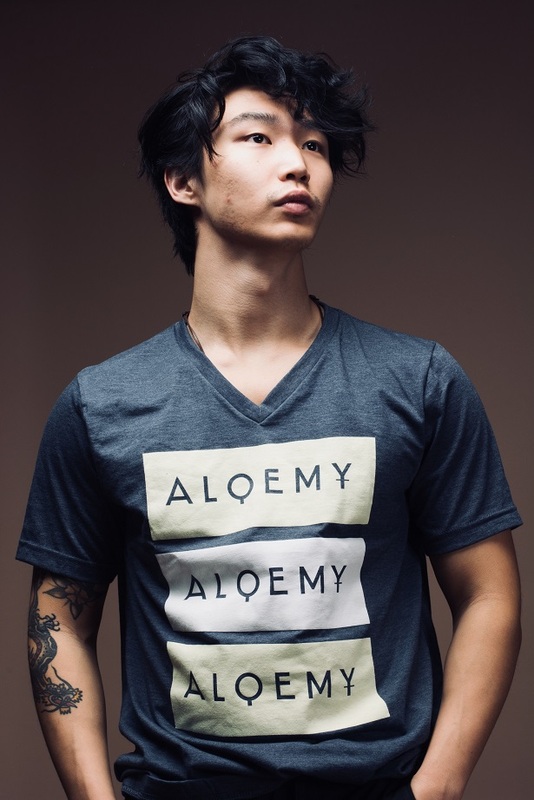 At 21, he’s started four companies, one of which he sold in high school for five figures. His namesake clothing brand, Zach Ryan, is one of his most recent ventures. The collection features polos, henleys, and cardigans with a coastal New England aesthetic. “Ultimately, this combines everything I love into one melting pot: design, sketching, photography, expressing yourself, sharing it with the world,” he said. Thanks to connections from his internships, Ryan works with manufacturers and factories used by Tommy Hilfiger, Armana, and H&M. The high-quality garments are sold online, with more than 90 percent of his business coming from Instagram, Ryan said. The University of Richmond Bookstore also carries Zach Ryan pieces. Ryan is working to develop custom collections for more bookstores on college and boarding school campuses. As for what’s next, Ryan says he will release a new shirt design this summer. He’s also working on developing a new app. See the full collection at zachryan.com. Nora and Anthony Bryant are used to being on the move. Nora, an adjunct University of Richmond professor and Anthony, an acclaimed DJ with a penchant for English Premier League Football are adventurous and thoughtful entrepreneurs. And with two little ones, they have translated their love for kids and all things style into one of the Commonwealth’s most well-curated kids’ shops: Little Nomad. 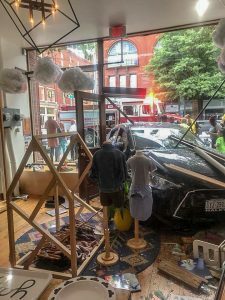 Little Nomad has a storied history, least of all the car that crashed through their Broad Street storefront in May of this year. While no one was hurt, this was a chance to pause and figure out how to proceed with the store that has become a mainstay of kids fashion accouterments. Always on the move, the Bryants regrouped and have now launched a series of pop-ups in Richmond and abroad. This weekend they are launching their brand in another new location, this time inside the historic Selden Market in Downtown Norfolk for the Fourth Friday Bazaar. 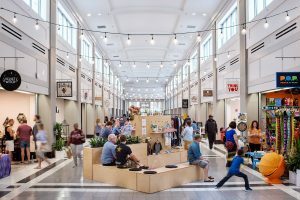 Selden Market has been making huge waves in the Hampton Roads community, launching retail superstars into the atmosphere and helping fashion startups fine-tune their business and marketing plans. With the help of some of the most talented folks in the region advising and mentoring on their behalf, Selden Market has resident tenants and hosts popups weekly, with tons of special events in the mix. Little Nomad is a Richmond staple that Selden Market director, Careyann Weinberg, knew Hampton Roads needed to check out. To round out the weekend’s events, producer and DJ, Gabe Niles, will perform at Selden Market’s Fourth Friday Bazaar from 5 p.m. to 8 p.m. Little Nomad’s pop-up will run from Friday through Saturday from 10 a.m. to 5 p.m.
From monuments to restaurants, Richmonders crave the new, yet remain mesmerized by the old. The dichotomy between old and new comes into focus in the fashion community here, including how we shop and what we buy. For starters, like much of America, we’re heading to the mall much less often. For the first time in history, American shoppers will spend more online than in-store during the 2017 holiday season, according to research firm Deloitte. Much of the spending will be at fast fashion stores like Forever 21 and Shopbop, driven by social media, a top factor for the clothing decisions of more than 35 percent of millennial women, according to research by Mintel. As trends circulate in and out of style faster than ever, old trends become new. Shoppers aren’t just looking for the newest boots, they’re looking to recreate trends from decades and even centuries ago. Only now, instead of heading to the thrift store to hunt for vintage items, shoppers are searching for them online. Richmond-based businesses Our Wander Life, Addison Handmade & Vintage, and Nighthawks Vintage are just a few bringing vintage to online shoppers. Their owners use a variety of new and changing channels to reach customers online and have learned lessons along the way. 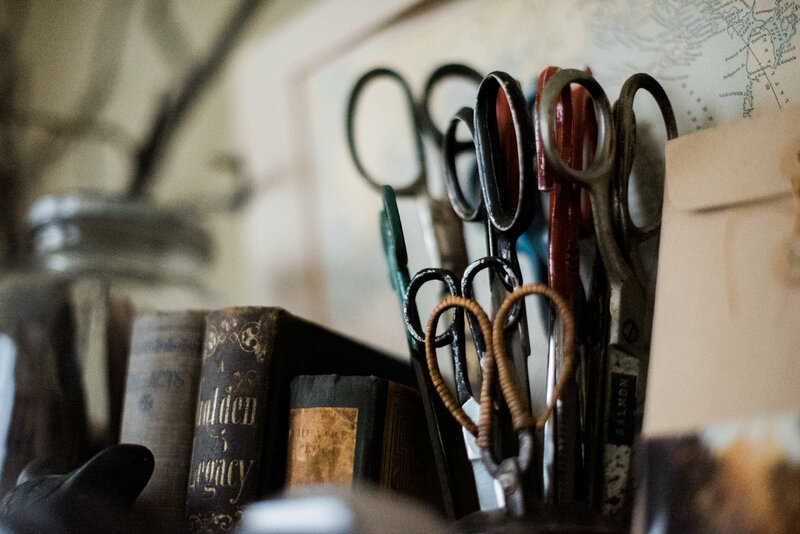 Our Wander Life owner Victoria McGovern has always been a collector, especially of clothing, trinkets, and household items from the Victorian Era. The floors of her home in Church Hill are lined with estate sale rugs with ripped edges and elaborate patterns. She serves lavender and rose water in vintage crystal from an aged silver tray to guests. Her outfits, which include vintage dresses with high necklines and doily collars, are sometimes mistaken for costumes. She sells everything from vintage curio music boxes to velvet blazers and pleated skirts, but also works as a photographer, and carries other jobs with Richmond Region Tourism and Lewis Ginter Botanical Garden. She moved to Richmond after a visit to the well-preserved Victorian Era mansion at Maymont, bringing her personal collection along from South Florida. As she settled in, her collection began to grow, and she started her online business to manage it. While she takes in-house appointments, she’s able to bring her vintage finds to more people via her website and social media. As she’s made this transition to selling her collection online, she’s grown to love the relationships she develops with customers. “They’re kindred spirits,” she said. “They’re drawn to these items for different reasons, and they always want to know more about the clothes and stories behind them.” She works hard to provide customer service that engenders trust. This is important, she says, because vintage is often a very personal purchase. Items are one-of-a-kind, require special care, and come with their own histories. 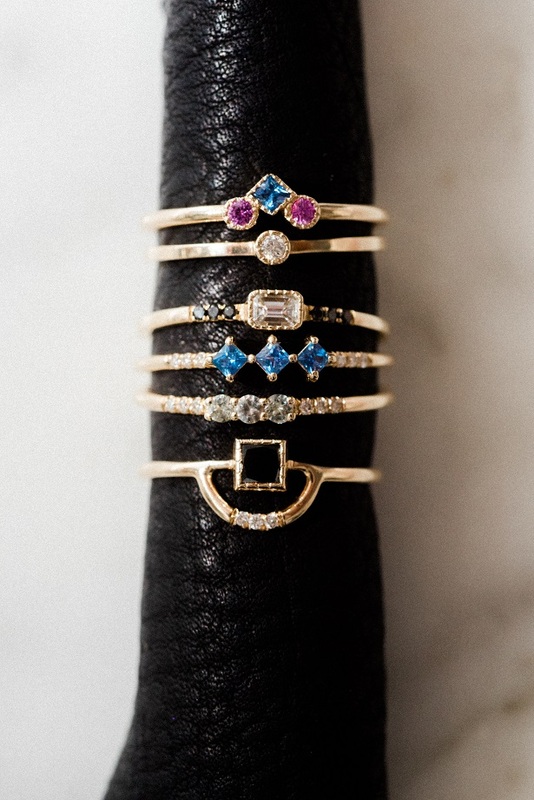 Addison Handmade & Vintage co-owner Lauren O’Connor waited four years to take her storefront business to the web, looking to connect with new customers all over the country. The business may be online, but O’Connor says she still works directly with customers. “They still want that personal attention and touch,” she said, noting that customers frequently call her personal cell phone number, which is listed on the website. Other questions come in over social media channels, focusing on fit, feel, and true color. She and her team would have to take the item down from the website and relinquish the effort they made. For a small business, that takes up valuable time and money. 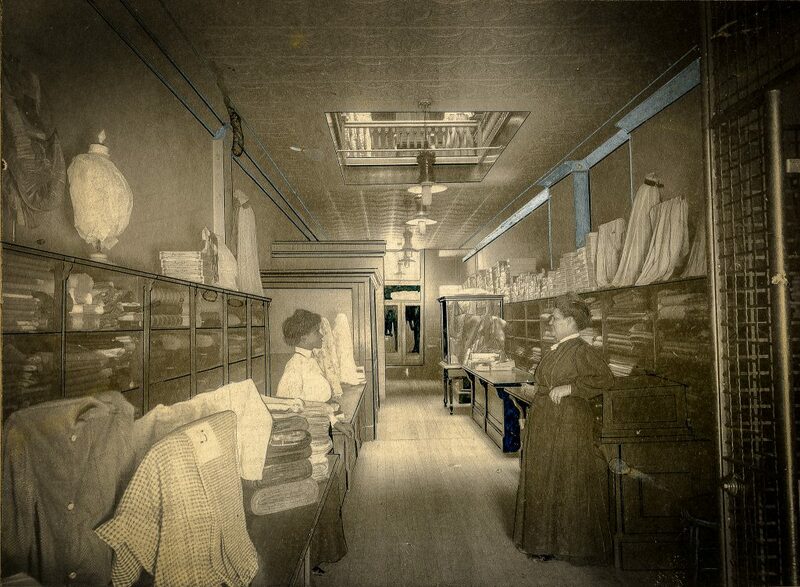 O’Connor was also concerned about maintaining her brick-and-mortar shop’s aesthetic online. She recreates the same nostalgic 60s and 70s aesthetic of the shop–warm tones, rich fabrics, and high-waisted everything–when creating images for the website and social media. “We want the website to let people know that we have your back if you can’t make it in,” she said. Learning to maintain websites and online shops is another challenging and demanding part of the business. 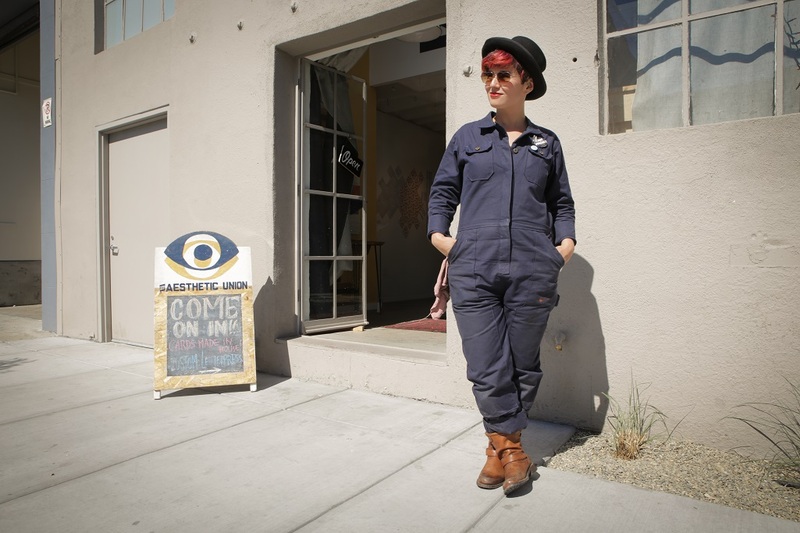 Jessica Lemmer of Nighthawks Vintage has been selling vintage clothing online since 2010. 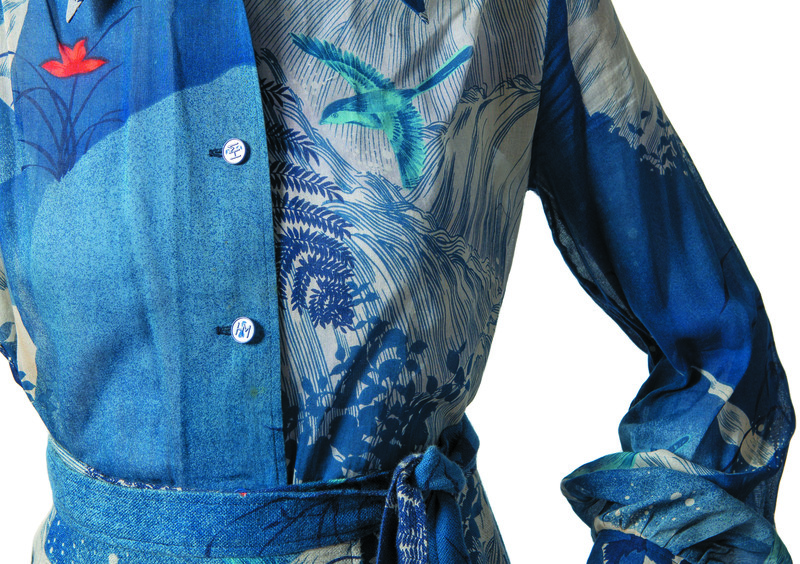 She’s always been a thrifter, drawn to Art Nouveau’s vibrant patterns and rich fabrics as well as the nylon, denim, and vinyl textures from the 60s and 70s. She not only sells vintage items, but repurposes old fabrics and clothing to more modern silhouettes, including crop tops. For Lemmer, Etsy was an effective way to meet and connect with new customers. For years, the platform only allowed vintage and handmade items. It provided its own marketing mechanisms and brought the customers to her. Now, she says, it’s become oversaturated. 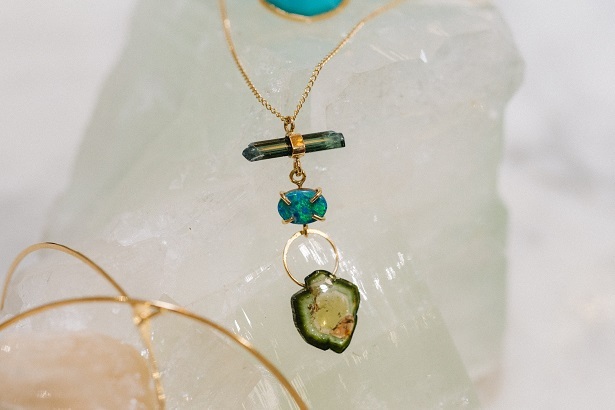 While she still has an Etsy shop, Lemmer has turned to Instagram to share her curated collection. Here, she has more control over her visuals and how she interacts with future customers. Like O’Connor, she works hard to maintain a specific aesthetic. As O’Connor adds more silky blouses and lace-trim items to her shop, McGovern emphasizes heavy fabrics, including velvet. The texture has enjoyed a comeback this fall. She hadn’t meant to collect a “trendy” item, but she’s glad people are investing in velvet and other rich fabrics. They’re ideal for fall layering and holiday party wear, she said. She’s right. We should buy what we love, which always has a tendency to change. As the ebb and flow of trends push vintage to the forefront of fashion, we’ll be glad shop owners like her are doing all the heavy lifting to bring older styles to our fingertips so we can click “Add to Cart” when we discover the perfect crushed velvet blazer just in time for New Years.